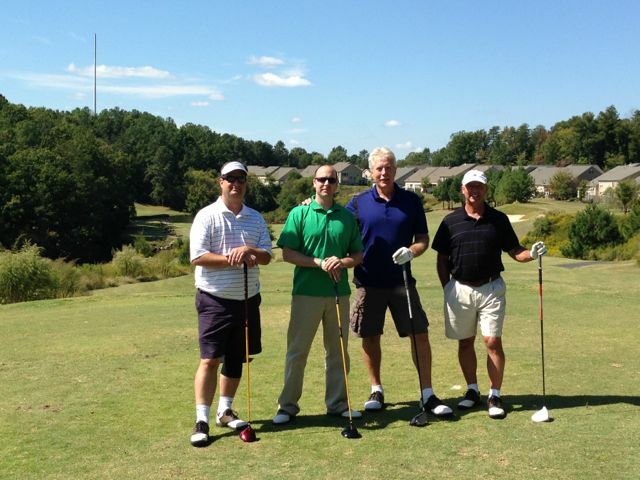 The Sun rose to the occasion today and the Tega Cay Golf Club was a complete hive of activity. Happy smiling faces all there for one common goal – to raise funds to help this great little guy! We arrived at the event to find Harlan tucking in to his lunch. 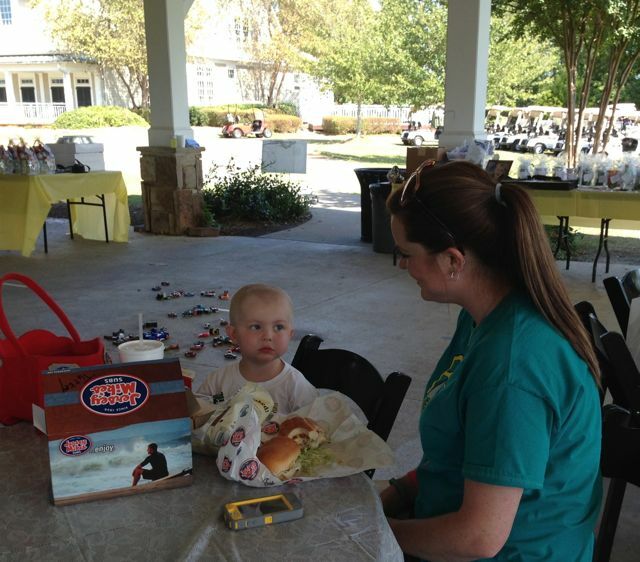 Jersey Mikes Subs Gold Hill Road in Tega Cay sponsored the Golfers Lunch. It was so heartwarming to find so many great people out to support this worthy cause. We thank all these Golfers for supporting the day! You know who you are and we really appreciate it! 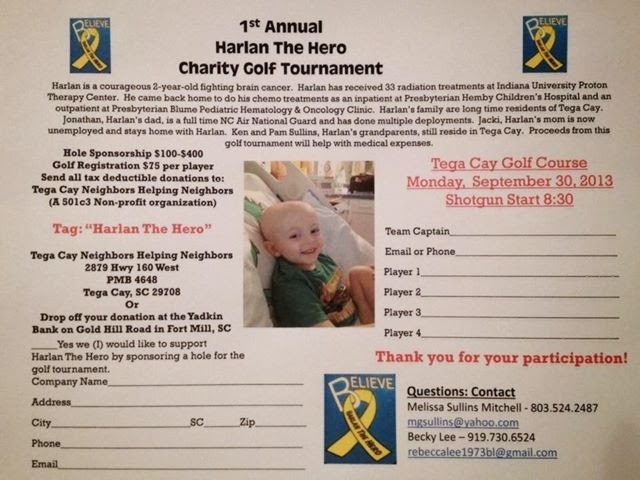 Tega Cay Neighbors Helping Neighbors is having a golf day to raise funds for this gorgeous little boys hospital and on going medical bills. Please support this event! 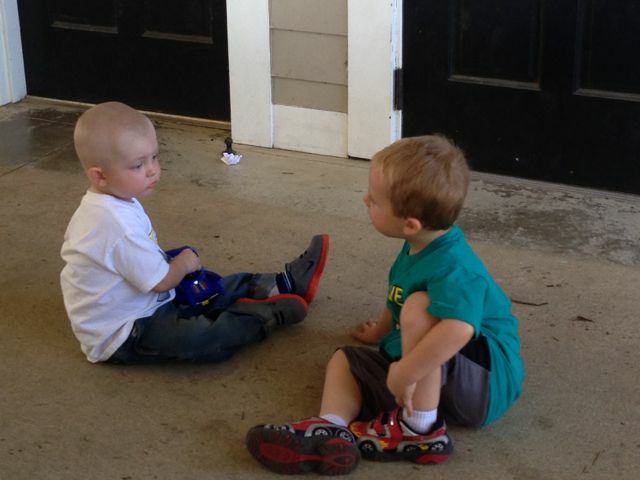 This brave little boy has already undergone major surgery. Please follow his Harlan the Heron Facebook Page. TCNHN is a Registered 501 c (3) non-proﬁt volunteer organization dedicated to helping families in need within Tega Cay/Fort Mill/Lancaster/Clover communities when there is a need after all of their resources have been utilized. Our purpose is to aid residents of Tega Cay/Fort Mill/Lancaster/Clover in time of need by providing appropriate material assistance on a short-term and/or long-term emergency basis. TCNHN ask to support our basic criteria when volunteering. You have the Time, the Passion, and the Commitment to join our team of professionals dedicated to utilizing our resources to help families get through their tough times and back on their feet. Checks can be mailed to the American Community Bank PO Box 3280 Ft Mill, SC 29708. Hand to a bank representative or placed into the bank “night drop box” using the bank envelopes.Tri-County Neighbors Helping Neighbors Team appreciates your support! As a number of you know, we have been experiencing growth into other nearby Counties helping families and individuals supported by Neighbors Helping Neighbors. So now we are beginning a new journey and it will require a few changes in our look and message as we move forward. Tega Cay Neighbors Helping Neighbors will be changing its name and our logo. It will represent the positive direction we are moving toward. I wanted to thank all of you for your continued support, the passion you all have displayed, and the commitment each of you have demonstrated over the years. We have changed many lives over the past 7 years and I’m sure we will influence and inspire more families and individuals by what we do to support them when they reach out for help. Not always could we help everyone, but I truly believe we have made a big difference in the lives we touched and supported. I am very proud and honored to be part of a group of friends and business associates that take the time to care!! Our new name will be Tri-County Neighbors Helping Neighbors. We have secured a Domain Registration called www.tcnhn.org we were fortunate to find the domain still available. We also were able to secure www.stage4nomore.org. The new domain will be a separate part of TCNHN, but under the wing of support and development. Two people on our team will be taking the lead in developing the both domains. Kathie Aldum has the technical skill-sets to develop a great looking TCNHN site and will be support by Lynn Nations in developing the Logo for the new site. I have attached a copy of what I believe is our final draft and look of the new logo. We will still maintain the same tag line….”Providing Help When Help is Needed”. I’m placing responsibility on Lynn Nations to begin development of the new site logo and asking Diane Woods begin to solicit volunteers for this project and the content of the site with the support of Lynn Nations. If there our any of our members that would like to work with Lynn & Diane on this program, please let us know. Kimberly Jones and I will continue to work with Kathie in upgrading our new name and site for the Tri-County Neighbors Helping Neighbors website and content. Once the initial new TCNHN site ready to launch, we will begin a large communication to educate all the people that have donated and support our organization the past 7 years. By reaching out to other communities we will continue to get our message out with the support of Kathie Aldum. Kathie has the abilities to elevate our website quickly throughout the internet world and at the same time help structure our new look of the site. The new Domain for “Stage4NOMore.org” may require another application for a 501c3 status. I will be checking with the Secretary of State/Charities Division to find out the best way to handle this new site and Charity. I’m also reviewing a few dates to bring together as many team members as possible for our “Kick-Off” meeting of our new site and look and update information about “Stage4NOMORE.org” initiative. Talk about future programs and events we hope to have in the future. I am finalizing a budget request to submit to Piedmont Medical Center for approximately $115,000 for 2014 in support of program we will be doing. In addition, we will be soliciting from the many local businesses donation support throughout 2014. I will need your help to identify the people and businesses to approach to support our 2014 programs. Volunteers…….The success of our organization relies on the our volunteers and bringing onboard new members that can help us achieve our goals for 2014. If you know a person or persons that would like to be part of a special group of people and get a lot of self-satisfaction knowing they made a difference in our community or in someone’s life…please bring them to the next team meeting once we secure a good date. We can have them fill out a volunteer application that evening if they like what they see and hear. I would like to thank Lynn Nations for helping us with the new logo, Kathie in developing the new website content and Diane & Kim for offering their input and being part of this very important transition we are about to take. We will need your total support to help us get the word out when we are ready to release this information. We will be attending the Tega Cay Fall Festival and Kim Jones will be the lead person at the booth to get the message out. The Fall Festival is the last Saturday of October and we will need a couple people help Kim hand out pamphlets during this event, get volunteers to sign up and solicit donations at the Fall Festival. Please let us know if you can help and bring a friend to help. The current banners and signs we have already made up, I will be taking to the sign company to place our new name and logo on them in time for the Tega Cay Fall Festival event. Thanks for your continued support. I am humbled by your caring attitudes and love for helping needy families and individuals.